In the past, I've read a couple "light" novels, a type of sparse novella that commuters in japan could theoretically read on their phones*. Specifically, I've read some of those that inspired the manga, anime and probably other stuff, called Strawberry Panic!. Which occupy a nebulous area of romantic fantasy about a barely physical relationship, a platonic, fiercely romantic friendship between (frequently) two high-school girls a year or two apart*. In hearts and minds they are a sort of 'starter' relationship, a test-run and a safe space for emotions run rampant**. These relationships may lead to kissing or even groping, but rarely last long, typically never past graduation. ** I wonder how that might feel to a girl more like myself. I think this is where Blue comes in. 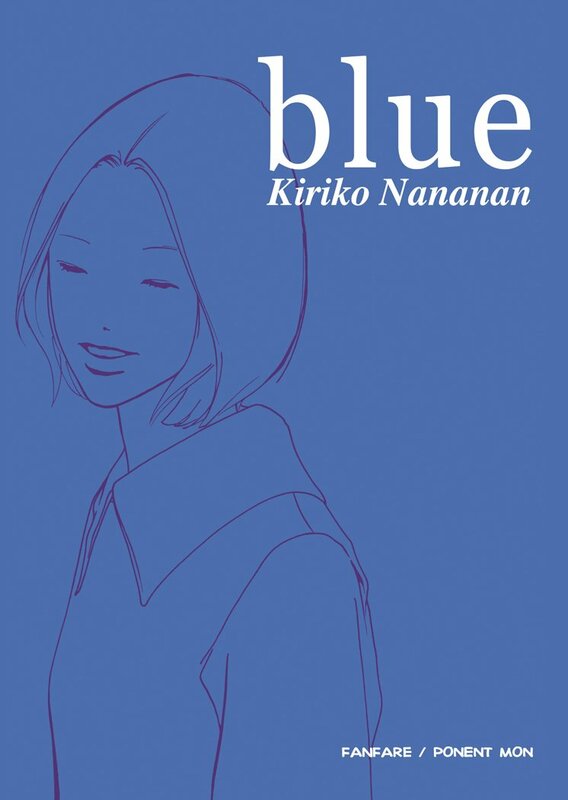 Though at first the relationship seems sparse, as the artwork is, you feel the connection between the girls as something that might last a long time, you can imagine them moving to Tokyo and starting a life together, as in the Korean tv-movie Daughters of Bilitis Club, or the Japanese manga Girlfriends by Milk Morinaga (no review as yet). Eventually, a couple moments after I'd closed the volume, a single relationship told in just over 200 illustrated pages, I was reminded of Strawberry Panic! and the patina of temporary circumstance. Though I believe both girls cared for each other very much, and that the feelings were real, and that the sentiments that pushed them apart were sincere, I ultimately think that one of the girls saw the relationship as more tangible and able to last longer than the other did. In my mind this raises the single volume story above the glittering anthology omnibus of SP! to something more literary, cruel and beautiful in its honesty. But I probably shouldn't believe everything fiction tells me about society. Add. : Reading about Kiriko Nananan on wikipedia leads to learning about la nouvelle manga movement, which is also interesting reading.